During his tenure as president of the Charles Stewart Mott Foundation, Mr. William S. White provided extraordinary leadership for the development and expansion of philanthropy in the Foundation’s home town of Flint, in the State of Michigan, in the United States, and internationally. Mr. White collaborated with other funding partners of all sizes to support creative and innovative efforts, including the launch of the first funding collaborative to address the AIDS crisis; the establishment of environmental endowments in community foundations to protect the Great Lakes; and the development of community foundations around the world. 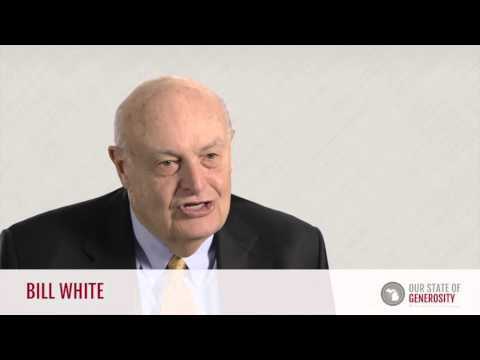 Mr. White has been a leader and long-standing supporter for increasing and improving philanthropy. Mr. William S. White talks about his career in philanthropy. 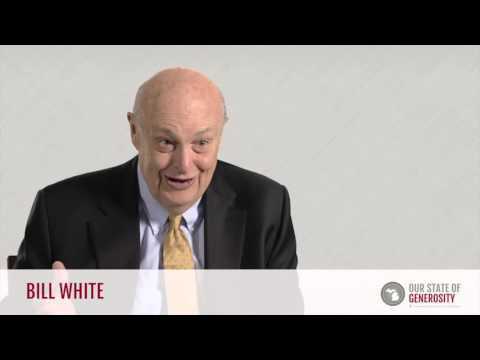 Mr. William S. White talks about Martha Griffiths', former Congresswoman and former Lieutenant Governor of Michigan, involvement in the 1969 Tax Act. 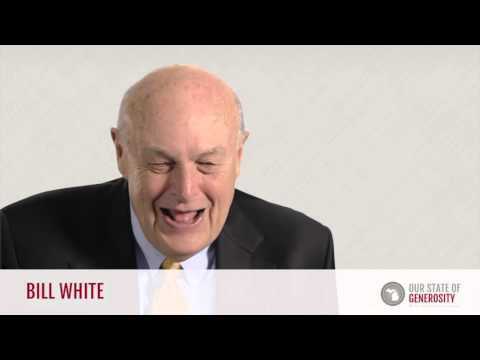 Mr. William S. White talks about how many of the people involved in the 1969 Tax Act didn't know each other at first. Mr. William S. White talks about the meetings and process of creating a 5% pay out rate in the 1969 Tax Reform Act. Mr. William S. White talks about the importance of connecting with state representatives. Mr. William S. White talks about the challenges the next generation will face in philanthropy. Mr. William S. White talks about how everyone can do their part in their corner of the world. Mr. William S. White talks about how fortunate Michigan is to have a strong philanthropic infrastructure. Mr. William S. White talks about the member collaboration in regional associations. Mr. William S. White talks about Michigan's Office of Foundation Liaison. Mr. William S. White talks about the development and necessity of the Great Lakes Environmental Protection fund, which helped create the Great Lakes Community Foundation Environmental Collaborative. 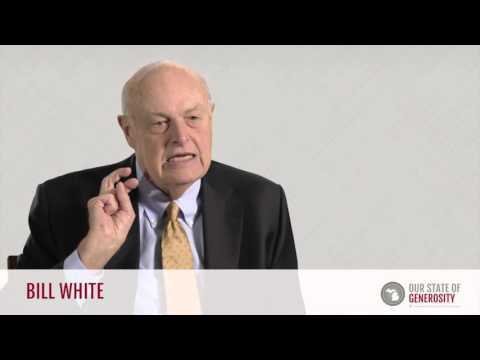 Mr. William S. White talks about his advice to the next generation of philanthropic leaders, including trust and respecting one another. Mr. William S. White talks about the importance of bringing people together through community foundations. Mr. William S. White talks about the continuity of leadership and how philanthropy involves all the sectors coming together. Mr. William S. White talks about the need for building community in the post-Soviet Union era. Mr. William S. White talks about Michigan supporting the European Foundation Centre and post-Soviet Union Europe. Mr. William S. White talks about the benefits of Michigan and investing back into the community. Mr. William S. White talks about how, through initiatives like WINGS and CIVICUS, people can find resources to support their visions for their communities. 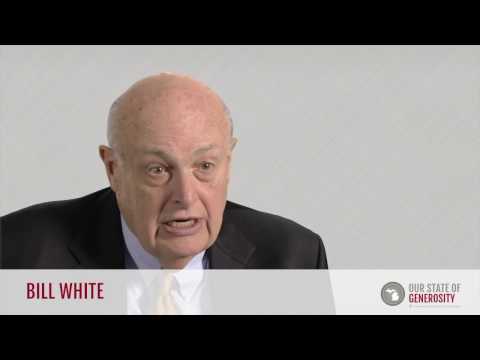 Mr. William S. White talks about what goes into creating a successful operation. 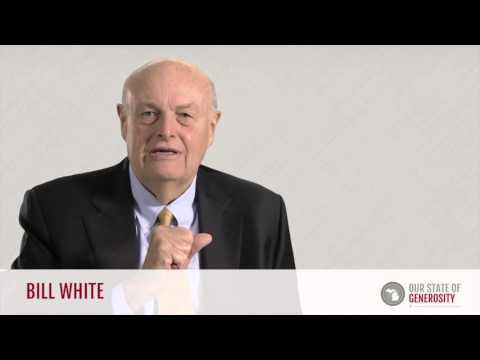 Mr. William S. White talks about the successes of the Global Fund for Community Foundations. Mr. William S. White talks about the value of sharing ideas. 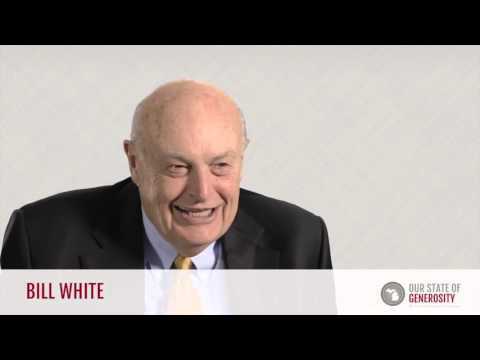 Mr. William S. White is a graduate of Dartmouth College, where he received a Bachelor of Arts degree in 1959. He completed a Master of Business Administration at Dartmouth’s Tuck School of Business the following year. He also is the recipient of six honorary degrees. Under Mr. White’s leadership, the C.S. Mott Foundation has evolved from a primarily local funder to one that also works to improve the well-being of communities far beyond Flint. While Mott has expanded its grantmaking nationally and internationally, the Foundation continues to direct significant funding to its home community, particularly in the areas of education, downtown revitalization, and the arts. Video: Watch videos of William S. White discussing the Charles Stewart Mott Foundation. Mr. White has maintained a strong interest in the field of after school and community education. In the United States alone, the Foundation has granted nearly $215 million to expand and improve the quality of afterschool programs, which serve more than 10 million children each year. Among many contributions to the field of philanthropy, one of the most important was Mr. White’s tireless advocacy for modifications to the Tax Reform Act of 1969. The 1969 Tax Reform Act had many provisions that were potentially harmful to the operations and philanthropic activities of grantmaking foundations. Components of the Tax Act, such as the original payout requirement of invested assets, would result in the eventual closure of foundations. 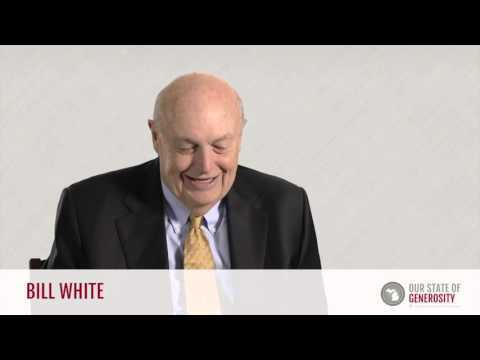 For example, Mr. White refers to the Mott Foundation, stating that, “We were invested because it was a high-yield period and we had a lot of bonds. We were invested to earn over 7%, and we had to spend 5%-7%.” No funds were available for other foundation activities and, during economic cycles with lower investment returns, the corpus of the foundation would be diminished. In response to the new legislation, the Council of Michigan Foundations (CMF) put together a legislative agenda to take to Congress. As a board member of CMF, Mr. White was one of the key players in educating Congress about the ramifications of the law. Mr. White worked closely with members of Congress, traveling frequently to Washington on behalf of the nation’s foundations. Mr. White has not only affected policy on a national level but on an international level, as well. As a part of his leadership with CMF, Mr. White had the opportunity to travel to Russia. Noting the unique moment in time created by the fall of the Berlin Wall in 1989, Mr. White used his influence and support to assist the seven European foundations to come together to form what is now called the European Foundation Centre. 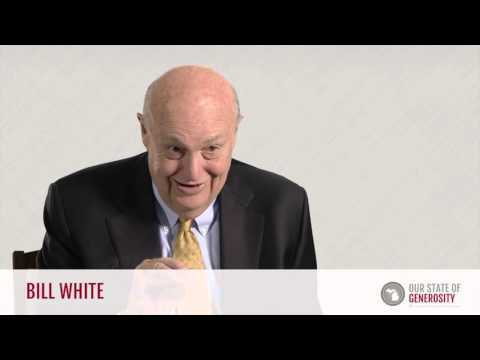 Additionally, Mr. White was one of the individuals that helped formulate the idea that led to CIVICUS and the Global Fund for Community Foundations. As word spread about the growth of community foundations and their power to reshape communities, greater interest grew in advancing community foundations nationally and internationally. In 1988, the Mott Foundation reached across the Atlantic and partnered for the first time with the Charities Aid Foundation in the United Kingdom to assist the development of foundations within the U.K. With a base in Europe, community foundation assistance was then provided to groups throughout Europe – in the emerging democracies, in particular. This team helped others see the importance of community foundations and created a worldwide movement. Since then, Canada, Mexico, South Africa, Russia, the former Soviet Bloc, Germany, Italy, the Netherlands, and many more now have community foundations. During that same time period, Mr. White became aware of the emerging AIDs epidemic through his service as board chair of the Council of Michigan Foundations. Mr. White felt strongly that the AIDs issue needed to be addressed, and he also realized that no one foundation in Michigan had the focused mission or staff expertise to adequately respond to a growing health crisis. Mr. White committed $50,000 from the C.S. Mott Foundation as a founding gift to create the collaborative funding model of the Michigan AIDS Fund. The Fund brought together many foundations, large and small. Through collective action, Michigan helped lead foundation efforts to assist the grassroots groups working to solve the AIDS epidemic. Under Mr. White’s leadership, the C.S. Mott Foundation also funded the technical assistance components of the multi-year, statewide Michigan Community Foundations’ Youth Project, spearheaded by the Council of Michigan Foundations on behalf of the community foundation members. These investments mirrored similar commitments to help build community level endowed assets in community foundations across the nation and around the world. A similar innovative leadership commitment was made by the C.S. Mott Foundation, addressing the unique environmental treasures that are the Great Lakes that surround Michigan. On Mr. White’s watch, the Great Lakes Environmental Protection Fund was created, and a $9 million pledge for funding was secured from the governor. This fund has been around since 1989 and is still protecting the Great Lakes resources – which are 20% of the world’s fresh water. In 2014, the Council on Foundations (COF) honored Mr. White for his enduring commitment to the field of community philanthropy. The Republic of Poland awarded him the Officer’s Cross of Merit in 2012 for his contributions to the development of civil society in Central and Eastern Europe. The Community Foundation Network in the United Kingdom presented him with its first Beacon Award for Services to Community Philanthropy in 2010. A year earlier, he received the European Foundation Centre’s Philanthropy Compass Prize, honoring outstanding contributions to the development of the European philanthropic sector. In 2003, he was awarded the Order of Merit of the Republic of Hungary, Knight’s Cross. In 2002, COF presented Mr. White with its Distinguished Grantmaker Award, which recognizes lifetime achievement in philanthropy. Mr. White currently serves on the boards of the European Foundation Centre, the Network of European Foundations for Innovative Cooperation, and the United States Sugar Corporation. William S. White was interviewed regarding his insights and experiences in working with Michigan’s philanthropic community and the Our State of Generosity (OSoG) partners. The following are selected quotations from his interview specifically related to the five organizing themes of the OSoG project.